Juan Martin del Potro ended Roger Federer’s best ever start to a season to become the first Argentine to win a top-tier Masters series event. This win gives Del Potro his first Masters 1000 title of his career. The 29-year-old had to stave off match point by Federer on three occasions in the final set, setting up the deciding tiebreaker where he finally overcame the top-ranked Swiss star. “I feel frustrated that I let an opportunity like this go by,” Federer said after the match. As for Del Potro, he dedicated his Masters 1000 victory to his beloved dog Cesar who recently passed. “I don’t know, I’m just going my way and I’m very pleased with my level of tennis. 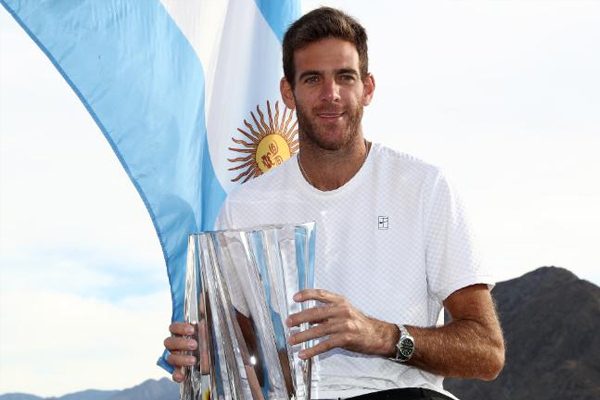 Juan Martin Del Potro is now the only Argentine winner in the history of the tournament.